Are we taking the time to remember today? Let’s plunge into the Deeper Waters and find out. I could have done a book plunge today, but I will hold off for tomorrow. Today is Memorial Day after all, and I want to write something to honor those who are no longer here. It’s sad as I think about it that the people I want to honor the most with this post are the ones who cannot read it. Hopefully, those who can read it will live their lives in honor of the ones who can’t. As I write this, I sit in my apartment without fear of death from opposing forces. I will drive to my in-laws with my wife today and I won’t be worried about driving through enemy territory and having to dodge bullets and such. I will have regular meals today and I will be able to get a hot shower this morning and sleep in a warm bed tonight. I will do all of this with my wife of nearly seven years by my side. The fallen don’t have that. They died in fact not sleeping in the beds that I do and woke up every day knowing they could be walking into enemy territory. They didn’t enjoy the meals that I am able to enjoy at home. Some of the men overseas might have had girlfriends that they were writing to back home. They will never get to marry those girlfriends. They will never be husbands or fathers or eventually grandfathers. Those families will always have an empty chair at Thanksgiving. Christmas will always be a reminder of what was lost. Mother’s Day could be a day of sadness for some Moms as Father’s Day could be for some Dads. Children are supposed to weep at the graves of their parents. It’s not meant to be the other way around. Why is this? Because there are some wicked people in this world. Because war sadly happens at times. No. I am not a pacifist. At the same time, war is not anything we should celebrate. It is a tragedy that it happens. It is a tragedy that the innocent die because of the sins of the wicked. My wife has been working lately on being more thankful. On this day, should I not be thankful? Should I not realize that all that I have is a gift. Whenever I kiss my wife, I am doing something that some man will never get a chance to because of his early death. I get to enjoy a meal that they won’t and I get to sleep in a warm bed while they are in the sleep of death. So if this is what is going on, then why are we celebrating? Why are we having barbecues today and not sitting around in mourning? Why? Because I think the fallen would want us to celebrate. They died so we could be free. They want us to celebrate and appreciate that freedom. Don’t think I say this for some benefit of my own. I don’t really care for food. I don’t eat burgers or hot dogs or any of that stuff. I’m just not a food person. Still, the best way to honor a gift you have been given many times is to live enjoying it. Here we have been given the gift of freedom. That freedom has come at a price. Just visit a place like Arlington Cemetery and you can see the price of freedom. We should celebrate it, but not take it for granted. Every day we have is a gift. Every moment with our loved ones is a gift. Every blessing we have over here is a gift. To the mothers and fathers and brothers and sisters and everyone else who has lost someone, my great sympathies for your loss, but also thank you. Thank you for helping produce someone of such a caliber in virtue that they were willing to die for people they would never even know. You have suffered a great loss. Nothing I say here could ever truly make up for your loss. Until eternity, there will always be a hole in your hearts missing that loved one, as it should be. They should never be forgotten. And to those fighting right now and being in the service, today we honor the fallen, but let it never be that we forget your current sacrifice. I always try to thank a policeman or someone with military experience when I see them. I have the greatest respect for people who have lived their lives willing to take bullets, so the rest of us don’t have to live with that fear. When you in the military go out to fight our battles, remember the fallen and honor them with your service. Happy Memorial Day everyone. God bless you and God bless our troops and may God honor the fallen. What do I think of Georges book? Let’s plunge into the Deeper Waters and find out. 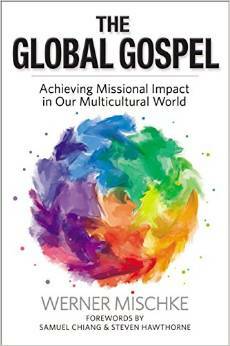 If you have an interest in missions, buy this book. If you have an interest in understanding other cultures, buy this book. If you have an interest in understanding the Bible and how it would be read in its own context, buy this book. If you have an interest in seeing the Bible beyond your own cultural perspective, buy this book. So yes, I want you to buy this book. 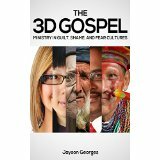 The 3D Gospel refers to the three different types of cultures we see in the world. Here in the West, we live in a guilt-innocence culture. Unfortunately, we often think so does the rest of the world, including the world of the Bible, and read our modern culture, perspectives, and individualism into the Biblical text, which can often produce disastrous results. There are two other kinds of cultures. There are also honor-shame cultures. These are cultures where honor and shame are the main forces at work as people live seeking to cover up shame and claim honor. In these cultures, what happens in the group is of utmost importance as you want to maintain not just your honor, but the honor of your group, and you do not want to be shamed by the people of your group. What you do reflects on everyone who identifies with you. This viewpoint is in the Middle and Far East. Then there are fear-power cultures. In these cultures, unseen powers play a big role. This is not just God, but also demons, angels, spirits, dead ancestors, etc. In these cultures, you seek the means to gain power over the unseen world and the defenses to protect yourself from what happens in this world, such as following what steps it takes to avoid curses, perhaps visiting someone like a shaman. This is in some southern nations and tribal nations. And this is the main theme throughout. 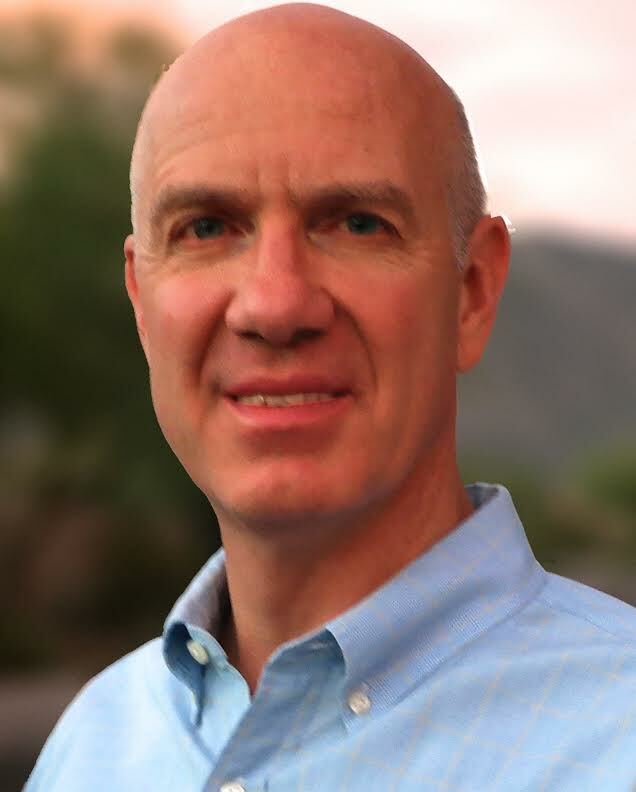 Georges writes this so that we can understand the Gospel better and realize that it has something to say to all three cultures and we dare not just go by ours alone. 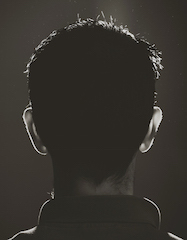 If you go to a culture that is honor-shame and start talking about the Gospel in individualistic terms, you will not get much of an audience. You will need to appeal to the need of honor for people, You will need to relate to them passages about honor and shame in the Bible and about seeking the honor of God rather than the honor of men. If you go to a fear-power culture, you do not want to talk about gentle Jesus meek and mild. You need to talk about the warrior Jesus. You need to talk about the warrior Jesus who in Colossians 2 disarms the powers that are against us and triumphs over them by the cross. You might also need to be prepared for some real work with prayerful preparation as you could really encounter darker powers in places where this viewpoint is prevalent. What we call power evangelism really plays a role here. This book is also not long. You can read it in a day easily. That will be a day well spent as you will get some excellent insight into how these other cultures work. Note of course that this is just a start. From there, you need to move on to the best works of scholarship in the field, but if you want to get your feet wet, this is an excellent start in order to do that.